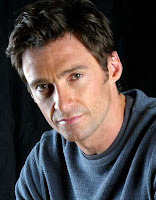 Hugh Jackman is currently toruing in a one man show and during a telephone interview with Toronto's 98.1 CHFI he has confirmed he is appearing in the film version of Les Miserables. He said” "I've always loved movie musicals like Singin' in the Rain so I would love to do one of those one day - and it looks like that's coming true, because I'm going to do Les Miserables the movie musical next year”. Though specifics haven’t been announced, Jackman had been rumoured to be in talks with the director Tom Hooper for the lead role of Jean Valjean. Jackman knows he'll have a lot to live up to, saying that this is "one I'll need to bring my A-game for." He would bring a wealth of stage and film experience to whatever role he plays, and having seen him in two musicals (Oklahoma! and The Boy from Oz) he is certainly vocally up to playing Valjean or Javert.